Ask Sid: Is it OK to pick the grape crop while it is raining? Question: Is it OK to pick the grape crop while it is raining? Answer: As we approach Fall harvest time in the Northern Hemisphere this question always comes up. Grapes seem to be ripening forever earlier with Champagne & Alsace yesterday starting already their Vendange 2018. There usually is less chance of rain when picking in August than in September/October. Generally for better quality you want to avoid picking in the rain which tends to swell the grapes up diluting the juice inside with even the possibility of cracks or splits developing resulting in mold. Sometimes it is necessary to do so particularly if there is a forecast for stronger storms with heavy rains continuing. This year there are major wildfires near several wine growing regions – especially in the B.C. Okanagan Valley. 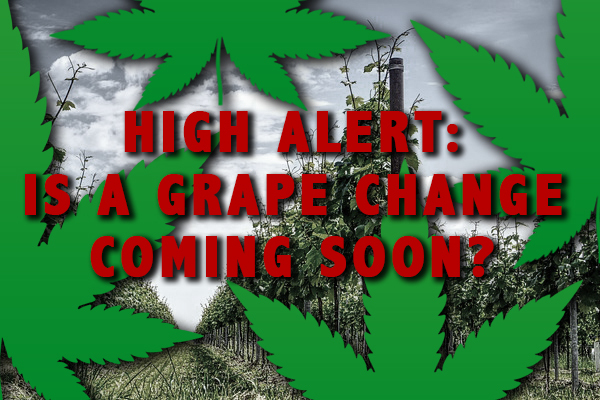 Some growers are hoping for a little rain just before or even during harvest to wash away the worst of the smoke taint presently sitting on the surface of the grape skins. May be OK to pick in the rain but usually it is not ideal.